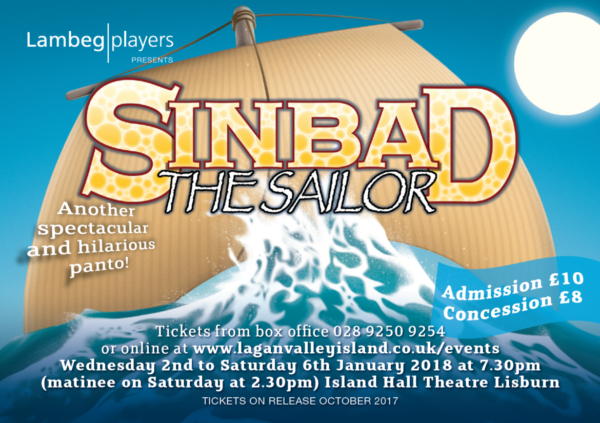 In January 2018, Lambeg Players will perform another spectacular panto called Sinbad. Like last year’s sell out Babes in the Wood, this show will have all the hilarious elements you have come to expect from a Lambeg Panto. Tickets go on sale in October. Book early.